This is me benching 255 pounds. Ten days ago I stared a seven day push up routine that was suppose to add one inch to my chest. I found the this routine over at the office escapee blog. I was suspicious that this routine would only help a person gain enough muscle to add an inch if they were new to working out. I have been lifting consistently for the past three and a half years, so I doubted that in one week could make so much progress. Day one is a work day, you do as many push ups as you can do as soon as you wake up. This will be considered you day one max. Every two hours you will do 50% as many push ups as you did during the set two hours earlier until you have done five sets of push ups. No matter how many push ups you started with, do at least 5 push ups per set. Try to eat more food then you would normally eat on the hard days, be sure to have plenty of protein so you can build the muscle. During day two you will have a rest day in which you do 50% of day 1 max when you wake up and then again two hours later. The next day you will do another work day and do as many push ups as you can do, similar to day 1. Continues alternating between work days and rest days until you have finished seven days. When I started I had a 39 inch chest. 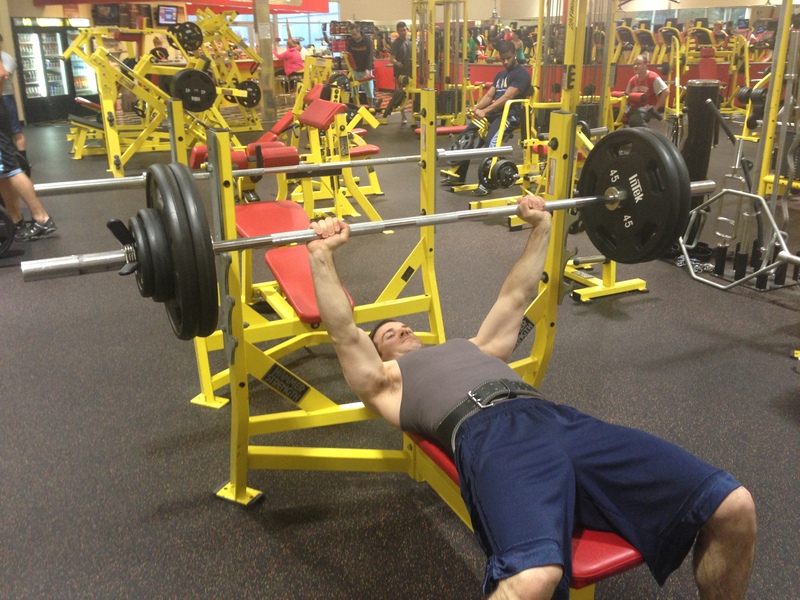 A few days before I started I was only able to do two reps of bench press at 255 pounds. During day one I was able to do 65 push ups for the first set. During the test set I would use not perfect form so I could get more reps in. In each progressive set I would use better form so I would still challenge myself. Looking back I probably should have done perfect form for every set. By day seven my max number of pushups had grown to 100. After I finished the seven day routine my chest measured 40 inches, so I was successful in adding an inch in size. Today I did chest for the first time since finishing the pushup routine and I was able to do 5 reps of 255 lbs. on the bench. I think if I had tried I might have been able to do 6. Not only was I able to bulk up but I also gained useful strength. Sometimes in order to continue making gains, you need to shock your system and try something new. Doing a ton of low weight high rep push ups qualified as something new that my body wasn’t used to. This routine reminds me of the crazy Russian push up routine I read about a while back and never got around to trying. It is able to build strength because it stimulates your muscles to expand their capillaries so your muscles can get enough blood flow. I think I will give the crazy Russian routine a try in a few months and see if it helps me make even more gains. While I was doing this pushup routine I did not weight lift for chest or triceps but I did still lift for back, biceps and shoulders. Made my way from MDA… This sounds like a great new challenge -thanks Wayne. I like the “Crazy Russian” one even more (two weeks as opposed to one). Putting this on my schedule. You added 20 pounds in one week? Sounds like you hadn’t been training hard enough to begin with and weren’t truly at a sticking point or you just got some active recovery time by doing the push-ups. I train very hard, every week for the last 3 and a half years. I realize now that I need to also take a week off every once in a while to let my muscles recover. The routine worked, I jumped up from maxing at 270 to 290. I’ll give it a try- I am in the same boat. You look like you’re in great shape but some people are genetically a little more gifted and don’t train as much so when they really buckle down they can make big jumps. Thanks for the article and stay at it- it’s definitely working for you. Have always wondered if these routines worked. I can’t speak for all routines but this routine worked for me. I had measurable results, give it a try and let me know if it works for you. Nice blog. Just discovered it after a post from yourself on MDA. Have been a bit lazy on the exercise front of late and need something to kick start me. Not a big fan of the gym, prefer the great outdoors, and body weight style movements. Realise that this may make it hard to make some genuine respectful gains. This sounds like it could be something to give a try and see where it takes me! Ill let you know how I get on! There all kinds of great body weight exercises you can do. If you install a pull up bar at your house then you can hit every major muscle group. When I want to get a full upper body workout I will do push ups, pull ups, handstand push ups, and dips (using a coffee table or two chairs). Interesting routine, however I always try to workout with an eye on the antagonist movements. Would you say to forget the antagonist exercises during this week’s routine? When I did this routine I continued to do shoulder, bicep and back workouts but I stopped all chest and tricep exercises.